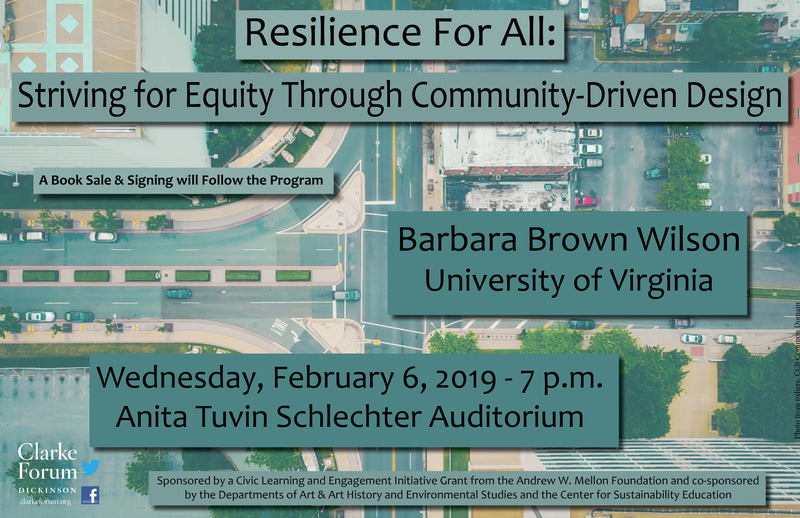 This talk will focus on the author’s research on community-driven efforts to make change in underserved communities and the lessons these efforts illuminate for resilience theory and practice. A book sale and signing will follow. This program is sponsored by the Clarke Forum for Contemporary Issues and a Civic Learning and Engagement Initiative Grant from the Andrew W. Mellon Foundation and co-sponsored by the Center for Sustainability Education and the departments of art & art history and environmental studies. It is part of the Clarke Forum’s semester theme, Sustainability. Barbara Brown Wilson is an assistant professor of urban and environmental planning and the director of inclusion and equity at the University of Virginia School of Architecture. 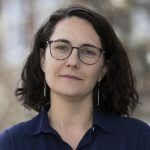 Her research and teaching focus on the history, theory, ethics, and practice of sustainable development, and on the role of urban social movements in the built world. Her work investigates the role of codes (e.g. building, land use, and societal) and coalitions working in the service of more resilient communities. Wilson is particularly interested in the efficacy of mechanisms employed in vulnerable communities, interrogating how the disproportionate impacts of environmental injustice have been remedied or exacerbated by development practices. Her work is often change-oriented and community-engaged, meaning she collaborates with community partners to identify pathways for regenerative community development that create knowledge to serve both local and academic communities. 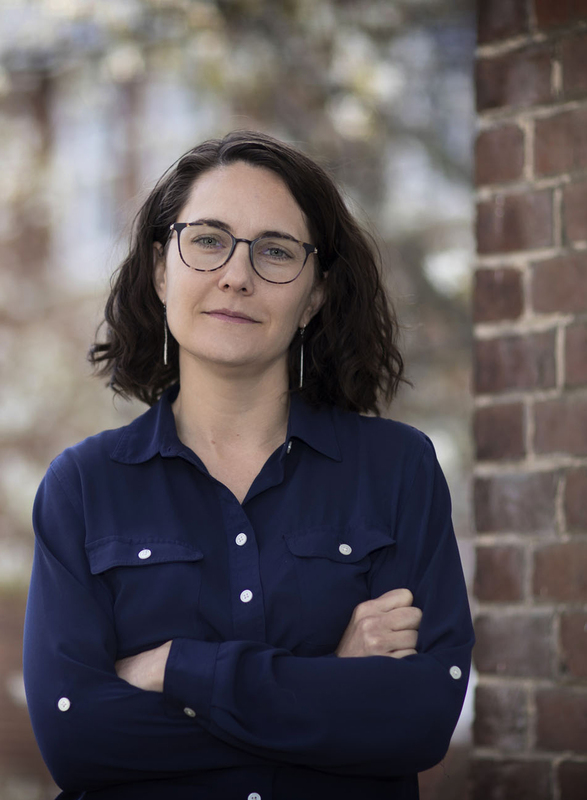 She is a recipient of the 2018 UVA All-University Teaching Award, and the author of two books: Resilience for All: Striving for Equity through Community-Driven Design (Island Press, 2018) and Questioning Architectural Judgement: The Problem of Codes in the United States (Routledge Press, 2013).